Hi everyone! Today’s topic is very exciting because we are talking about two of the most popular queens and princesses at Disney World and that is Anna and Elsa! If you have an upcoming trip with someone who is just as obsessed with this dynamic duo from Frozen as I am then this post is for you! I will be sharing with you all of the places you can see, meet, and sing with Anna and Elsa at Walt Disney World! You won’t want to miss any of these opportunities during your next trip! Wanting an epic PhotoPass opportunity with the sisters? Then head on over to Epcot! You can find the pair at Royal Sommerhaus which is located in a cute and cozy cabin in the Norway Pavillion. I highly suggest doing this as early in your day as possible because the line to meet them can get pretty long. Wanting to see Anna and Elsa is the most amazingly life-like animatronic way? While in Epcot in the Norway Pavillion, after you just snapped your awesome picture with the two of them, head on over to Frozen Ever After! I will warn you that since this ride opened in June of 2016, the wait has not been any less than an hour, and for good reason too. This ride is fun for the whole family! It is a boat ride that takes you up into Elsa’s ice castle! As you are on the way up, you pass by some familiar faces, such as Kristoff, Olaf, and Sven! While singing your way all throughout the journey, you run into a small hiccup with a not so good guy, I won’t spoil the ending, but you are in for a great surprise! This ride is also so technologically advance that each character looks like they are actually there! It is insane in the best way possible, and also has me really excited for the next ride Disney creates with animatronics this good (I’m looking at you Ratatouille)! Still can’t get enough of these sisters after meeting them at Royal Sommerhaus and riding Frozen Ever After? Then while in Epcot, attend the Frozen Ever After Dessert Party! This dessert party gets you a special viewing area for Illuminations (the nighttime show at Epcot), an array of sweet treats to enjoy before Illuminations, and once Illuminations is finished you and your party will be escorted to the Norway Pavillion to ride Frozen Ever After! Adults 21 and older can also enjoy an acholic beverage during the dessert portion. The pricing for the Frozen Ever After Dessert Party is $79 for guests ages 10 and up, and $47 for children from 3 to 9 years old. This show is a must-see for me each time I am at Holywood Studios! And is up there on my list of favorite shows on all property! Even the manliest of men will enjoy this sing-along! It is chocked full of corny jokes, thanks to the amazing Royal Historians that run the show and share the story of Anna and Elsa that we all know and love! Along with singing all of the classics from Frozen, this show is full of great surprises from special guest appearances to “snow” falling from the ceiling! The special effects really help make the show as great as it is! You can snag a FastPass for this show, but there are plenty of showtimes throughout the day that I am sure one of them will line up with your existing plans so you do not have to waste a FastPass on it! Just be sure to get there about 30 minutes before showtime. Wanting to get your sister fix while at the Magic Kingdom? Then check out the Festival of Fantasy Parade, a 12-minute parade that happens once daily, usually at 3 pm. You will see many amazing characters during this parade, but nothing will compare to the fabulous ice sculpted float that Anna and Elsa will be on! The sisters and some friends will be eagerly waiting to wave at you and your family! Start your day off with Anna and Elsa, as well as many other friends, at Mickey’s Royal Friendship Faire at the Magic Kingdom! This is a stage show that happens multiple times a day right in front of Cinderella’s Castle! The stage show includes lots of singing, dancing, and special effects! There you have it, friends, everywhere that you can see, meet, and sing with Anna and Elsa at Walt Disney World Resort during your next trip! Be sure to add at least one of these opportunities, if not all, to your itinerary! You will not be sorry! 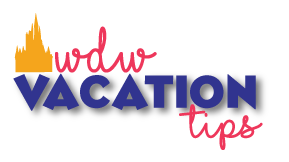 If you want more information on planning the most epic Disney vacation ever, check out this blog post on 110 Disney World Tips for Trip Planning!